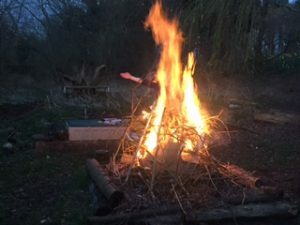 Children enjoyed sitting around the campfire last night before having a great night’s sleep. 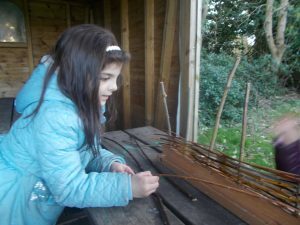 Here is Sophie at the weaving workshop yesterday. Today, children are taking part in the 2 activities they didn’t have the chance to do yesterday: either pizza making and weaving or gardening and animal care. What beautiful weather for outdoor learning!